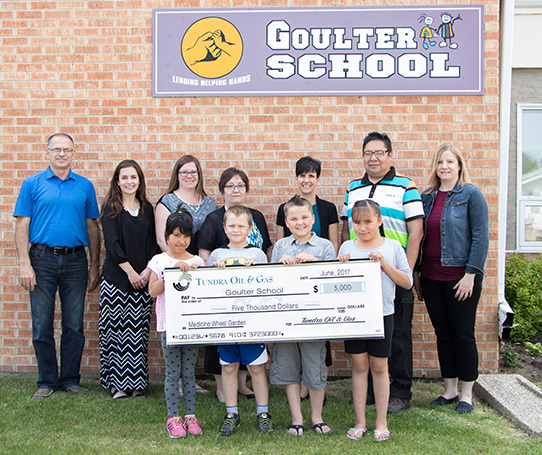 Tundra Oil & Gas recently presented Goulter School with a gift of $5,000 to help cover the cost of their new Medicine Wheel Garden. The school has been actively fundraising and applying for grants to meet their fundraising goals. The Medicine Wheel garden will be used as an outdoor learning space, not only for the staff and students at Goulter School, but for the entire community. The Medicine Wheel garden is expected to be completed in the fall of 2017.